Why New Traders Lose Money? Beginner Traders lose money with Binary Options because they don’t design and master a binary option strategy, making random trades so that they lose more money than they gain. Even trying so many strategies but not sticking to a definite one. Formulating a binary option strategy for yourself is very important. It’s what will make you profits or get you losses. So here is a useful guide on doing that. We always test a Binary option strategy on a demo. Mastering it on the demo getting a high win rate. Then once we are happy we use it on our real accounts. Suggest you do the same. There are a few Binary Options brokers that offer live demo’s free of charge such as IQoption. However with most you must make a real deposit before giving you access to the demo. Brokers like IQ option are great cause they allow you to put min amount of $10 to start testing that strategy for real once you getting the win rate on the demo. When formulating your binary option strategy. You have to consider a few things. You need to know time-frames to use for the strategy chosen. Which brokers to use for trading the strategy. The kind of analysis used for the strategy. Whichever strategy you decide on, make sure you practice until mastered. If not providing desired results, move on and find another until you are getting consistent desired win ratio. ● On each time frame chart a single candle stick length represents time, 15 secs, 30 secs, 5 mins up to however long you choose to the max allowed. Understand that the candlesticks are the time trades have gone on for an asset. Also with options trading its set end time periods for unlike Forex. So the use and knowledge of the time frames, charts and candle stick analysis is paramount in formulating your strategy. Different strategies work better on certain end times. An example is stocks like Google are open to trade for few hours each day. Where as Forex pairs are 24/5 and 24/7 with OTC options. A strategy designed for stock assets or Forex pairs will work for day trading. Where as assets with movements that trend for longer periods trades with strategies designed for medium to long-term. ● You have sign up with the right broker that your chosen binary option strategy will work on. There are tons of these brokers out there, we have filtered out to give you the recommended brokers. When choosing which broker to use always keep the strategy you intend using in mind. Vice versa. The Broker platform, Expiration times, tools, indicators must suit your strategy. Using a strategy with any of the above not in place, can cause trades and strategies to fail. Different assets behave differently and strategies are created to suit certain assets. so remember to consider these when choosing your strategy. In conclusion, you don’t have to go all out and develop your own strategy from scratch. There are tons of strategies out there. 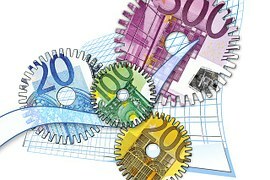 A few to start from Binary Options Trading SA strategies post. 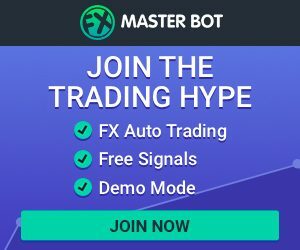 Another great free source of strategies is Tradingview.com. Brilliant charting tool with active pro traders who post the strategies they use with indicators and signals. Open chats with other traders its a great source of information and place to find a strategy to test.